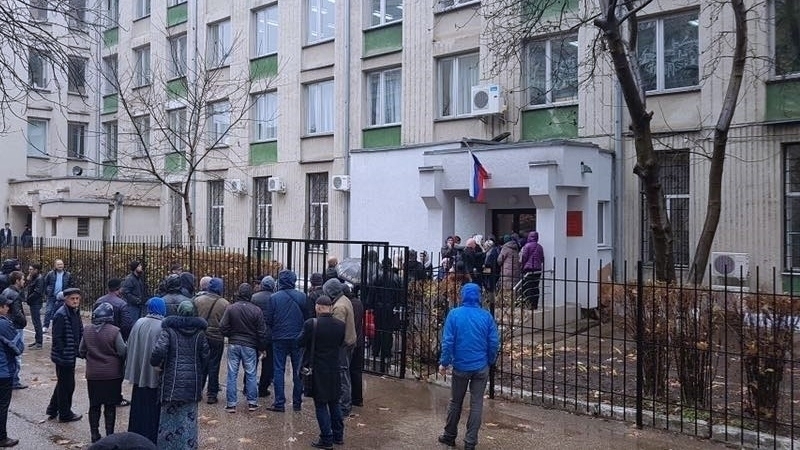 Persons involved in the fictitious criminal case "Hizb ut-Tahrir" were transferred to the pre-trial detention center of the city of Rostov-on-Don (Russia). Attorney Edem Semedlyaev said that January, 10 in the Russian city a preliminary meeting is to be held in the case against the Crimeans. According to him, the hearing will be held in the North Caucasus District Military Court. Reference: The figurants of the so-called "Hizb ut-Tahrir case" are: Refat Alimov, Arsen Dzheparov, Emir-Usein Kuku, Muslim Aliyev, Enver Bekirov and Vadim Siruk. Earlier, activist Musafir Zaman said that the court session would be closed. December 15, 2017 the court ruled to transfer the defendants of the so-called "Yalta case" from Crimea to Rostov on Don, RF. It should be noted that on February 11, 2016, participants of the fabricated "Hizb ut-Tahrir case" were unlawfully detained. Among them were: Muslim Aliyev from Alushta, a resident of Krasnokamenka village Enver Bekirov, Yalta resident Vadim Siruk and Emir-Usein Kuku is a member of the Human Rights Contact Group, and on April 18 the same year Arsen Dzheparov and Refat Alimov. QHA reported that the wife of one of the figurants of the contrived "Yalta case of Hizb ut-Tahrir" Vadim Siruk Anna Bogacheva and her daughter were not allowed to meet with him earlier.